There’s not a car in sight on a Venice city break. It’s the canals that breathe life into this archipelago city on the Adriatic, Gondolas sweep under low wooden footbridges and past lively squares. Book a Venice hotel for a waters’ edge city awash in history. 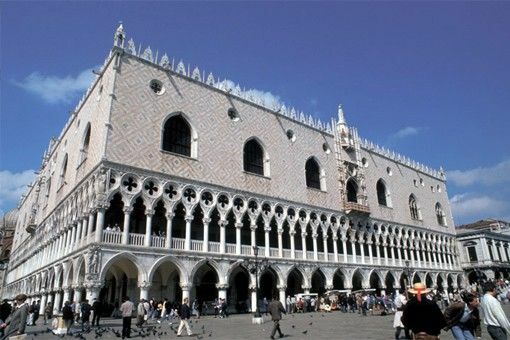 Book a Venice hotel and be swept away by romantic Venice. With its gondola rides, opera and lavish baroque buildings, Venice oozes romance from every piazza, bridge and canal. Whether you’re looking for a Venice hotel in the heart of St Mark’s or arty Dorsoduro, this guide to the sestrieri, or districts, will help you choose where to stay in Venice. A winter holiday in Venice means cosy days admiring Renaissance masterpieces, masked ball carnival celebrations or filling stockings with Italian food treats from the Christmas market. Book a winter hotel in Venice and avoid the summer rush and gallery queues. Comfortable shoes and a map are all you need for a short break in Venice. Plan a few nights in a Venice hotel on the traffic-free island city with this itinerary.